The Doctor of Nursing Practice (DNP) Primary Care Pediatric Nurse Practitioner (PC PNP) program prepares students to function in a variety of primary care settings, taking care of children from infancy through young adulthood. Your pediatric nurse practitioner education will focus on clinical practice and evidence-based initiatives to improve health outcomes of patients and populations. The Rush experience will emphasize independent and interprofessional practice through the development of leadership skills. Career prospects for PC PNPs are quite diverse. The PC PNPs collaborate with other health care professionals to provide health care services in pediatric health care, medical homes, schools and other primary care settings. Pediatric Nurse Practitioner job opportunities vary depending on geographic location, but we anticipate that there will be a growing number of positions in the coming years. Potential employers and recruiters frequently contact program coordinators at Rush. We are happy to provide assistance and direction to graduates seeking employment following graduation. 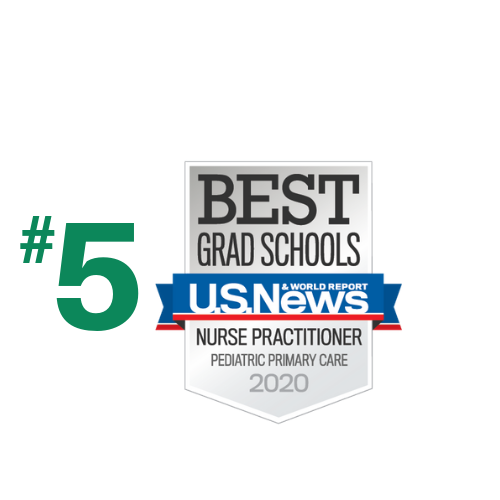 As a top ranked college of nursing, Rush nurse practitioner programs are competitively priced on a local and national level. Once you begin your program, you only pay tuition. Our pricing is unique compared to other colleges of nursing as we do not charge additional fees. Learn more about the Primary Care Pediatric Nurse Practitioner (NP) program at an on-campus or online information session.